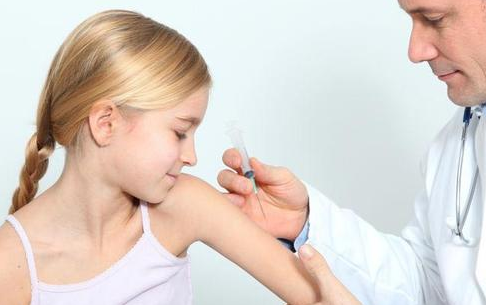 Home » vaccine » Are Side Effect Of Influenza Vaccine Is Harmful To Children? Influenza or flu can be prevented by a flu vaccine, but does this vaccine have harmful side effects for both children and adults? Often we worry when children get flu or influenza. This disease often decreases the child's appetite and makes it difficult to sleep because the nasal congestion. According to experts, flu vaccine is the best way to prevent children from influenza virus. Giving influenza vaccine should be done every year, because influenza viruses are often immune to vaccines given in the previous year. For children aged 6 months to 8 years, 2 times the flu vaccine required. And for the first child receiving the flu vaccine, the second dose is given 1 month after receiving the first dose. Who Can and Cannot Receive Flu Vaccine? Flu vaccine should be given to children with low immunity, cancer, diabetes, heart disease and lung disease. However, children who are allergic to chicken eggs cannot receive the vaccine, because the vaccine is bred in chicken eggs and may contain egg protein. This vaccine can be given in two ways, namely by injection or spray on the nose. Vaccines given by injection contain inactive / dead virus. While the vaccine through the nasal spray contains a weak live virus. Immediately after administration of the vaccine, the body will react to form a fortress ready to fight the flu virus. Both are safe for children, but for children under 2 years flu vaccine should be given by injection. Maybe you are one of those parents who are worried and hesitant to give the flu vaccine to your child, because they have heard or read about the side effects of the vaccine. Side effects usually begin to appear at 6-12 hours after the vaccine. But the side effects are very mild and lasts 1-2 days only. In the vaccine given by injection, side effects that often occur are skin redness and stiffness around the area of ​​the former injection, mild fever, lethargy, to sore throat. While the flu vaccine is sprayed through the nose, can cause vomiting, fever, headache and nasal discharge. These side effects are not proportional to the benefits obtained through flu vaccines. So consider flu vaccines for your children, so they are more immune to the disease. Severe side effects rarely occur. Immediately take your child to the doctor if you have respiratory problems or heart rate abnormalities.